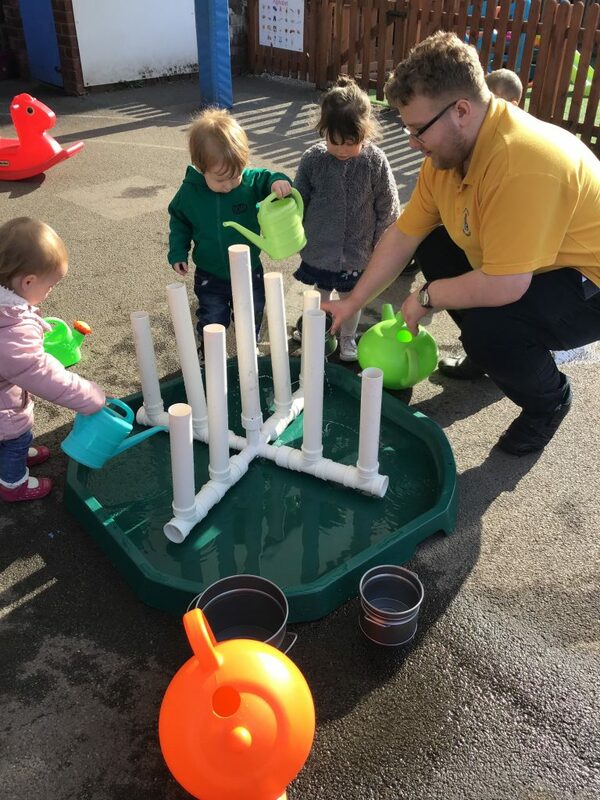 The children couldn’t wait to play out today in the morning sunshine with our new water toys, We enjoyed developing our pouring skills and control when using the large tea pots and watering cans. We used the watering cans to fill up the metal bowls and then tipped the bowls to watch the water run down the pipes. 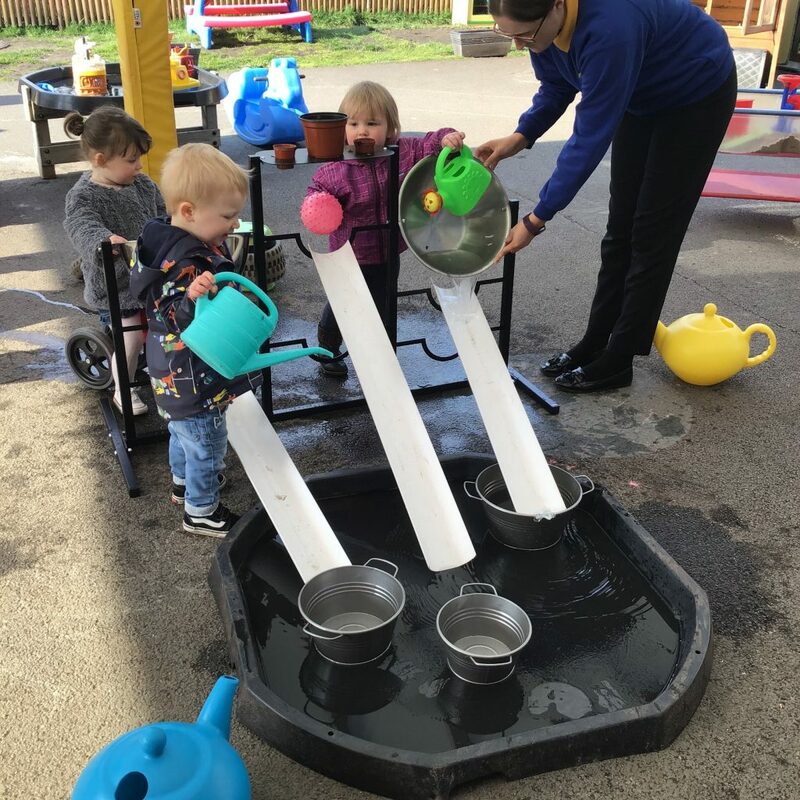 We enjoyed using the watering cans and the large teapots to pour the water into the tubes and watched the water sprinkle out of the little holes in the water pipes.